A couple of weeks ago I attempted to upload some audio files onto Divshare, but the site had a notice saying that they were having regular maintenance, which they did from time to time. However, this went on for several days, which was rather unusual. When I finally managed to get into the site each time I tried to upload audio files I got an error message, I contacted the help line (via email) but never got a reply, so I emailed them again, and still no response. I noticed the other day when trying to log into Divshare that the site was temporarily suspended awaiting relaunch. What's going to happen when they relaunch Divshare is anyones guess. Whilst we wait to see what's gonna happen next, here's an oddity for you to muse over. 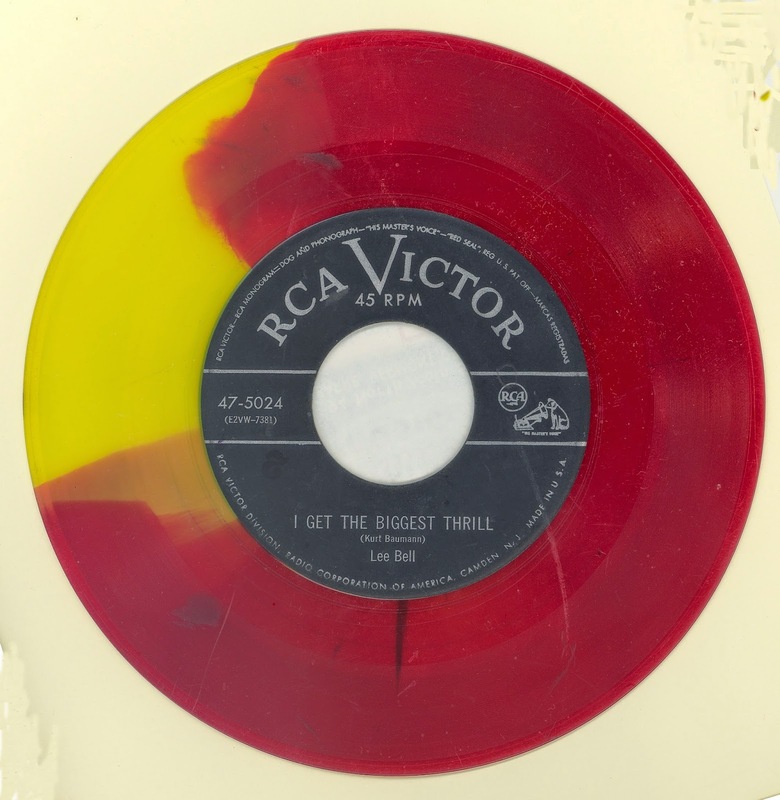 This is the only copy of RCA 47-5024 that I have seen with colored wax, I suspect that this was a mistake.